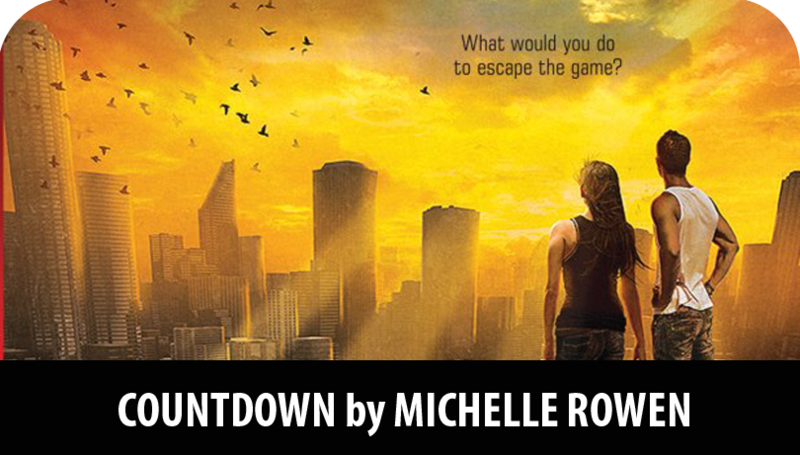 I think it's best for me to start out this review by saying that I was super-crazy excited for Countdown. I read about it a few months before it came out and I had super high expectations for it. I talked about it in a Waiting On Wednesday post. Basically, it was majorly anticipated on my end. And within the first three paragraphs of reading it, I was hooked. The main character, Kira, wakes up, chained up, in the dark. She doesn't remember how she got there -- she doesn't even remember falling asleep. 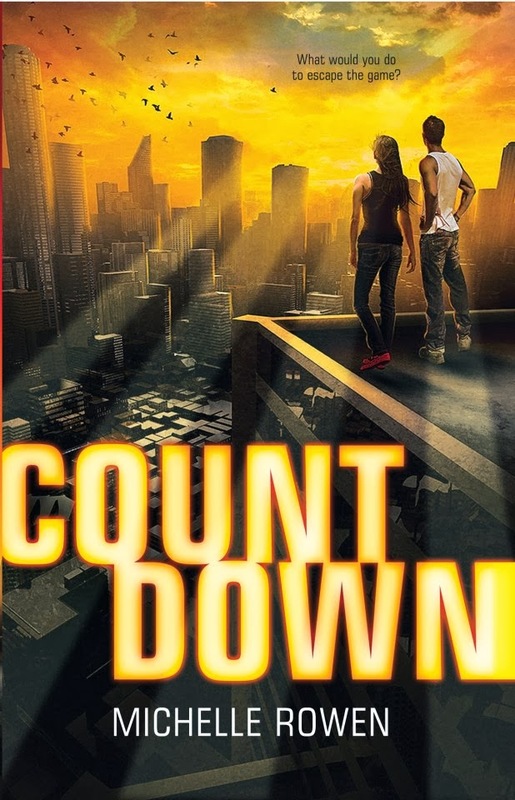 Countdown centers around a post-apocalyptic world where only the richest of the rich can afford things like television and where these select few are so desensitized that they enjoy watching a battle to the death between teenagers. The technology they use to watch the program is actually inputted in their brains so that they can constantly be viewing it. (Think Google Glass, but in your head.) Kira has never heard of this game that she is now competing in because she herself lives on the fringe of society, on the run since her family was brutally murdered in her midst. On top of that, Kira is forced to give some degree of trust to a person she's never met until now, as each contestant must compete in pairs. For Kira, that competitor is Rogan, a typical tall, dark, and handsome bad boy who has a bit of mystery to him. I don't want to give too much away, since I do believe that this is a good book. So let's jump right into the pros and cons. The book had a fantastic pace. It moved very quickly and it has a LOT of drive to jump-start it at the beginning. I loved that about it. And I could tell within the first couple chapters that this was the kind of book that was going to keep me up all night. I liked the interaction between Kira and Rogan, especially at the beginning. Both were interesting characters with trust issues and complicated pasts. It was a fast read -- I DID end up reading it within one night. The concept was so incredibly interesting. Obviously, teenagers fighting to the death has been done before, but this was a fresh take and it was interesting to see the phases of the game and the various countdowns unfold. There was an element of the supernatural here as we learned about some abilities that Kira has. I won't go too far into this because I think it's one of the most interesting parts of the book that I don't want to give away. Like I mentioned, teenagers fighting each other for their lives is not exactly new. When I was reading Countdown, I took a lot of notes. I wrote this: "Being like The Hunger Games isn't necessarily a bad thing. After all, how many books, movies, plays, and musicals took their inspiration from Romeo and Juliet?" But a lot of the similarities are kind of glaring and it's clearly in the same vein. Certain characters even reminded me of certain characters from The Hunger Games. But this is a positive, also -- some readers really do want more things that are more similar to The Hunger Games in nature, so for some readers, this is going to be a great thing. I feel that Kira and Rogan had a bit of what I call Twilight-syndrome. Kira went from complete distrust of him to suddenly being completely enamored and in love with him in a very short amount of time -- actually shorter than the amount of time it took Bella and Edward to become all-consumed. And then she'd find out something about him and distrust. And then it would be explained and she'd be all moon-eyed over him again. Rogan has some major daddy-issues. They are also TOTALLY justified. But within a few paragraphs near the end, it's resolved like it was NBD. That felt unrealistic to me. I had some issues with Kira's voice. In some areas, it's like she's telling and narrating a story. And then at some moments, it's like she's interacting with the readers more than a narrator normally does. And lastly, I felt that it just ended too fast. Like all these very complex and complicated things dwindled down at light speed. Some areas of the book felt like they needed more development. In short: I wish there was more of it. I feel like the book had really awesome bones to it, but another 100-150 pages to flesh some things out would've taken this book from being good to being great. All that said, I did still like this book a lot and would recommend it, especially if you like a really fast-paced books that starts fast and maintains a good clip. I did devote an entire night of sleep to it and I wouldn't take it back and look forward to reading more from Michelle Rowen, who also writes under the name Morgan Rhodes.